You are here: Home / Lifestyle Blogging / My First Week As A Lifestyle Blogger! Well this is a super fun post to write! I have been wondering for a while how to do like Gary Vaynerchuk says and make my passions my business…duh…I am a paper nut and now I have a place to put all of that great content that doesn’t work in my “real” business. So let’s get something out of the way first in case you are reading this and wondering why you don’t get the numbers that I do when you are checking your shares and follows or even getting your empire setup! I have been in marketing for over 15 years and doing social media for myself and my clients for about 7 years. I am a full time work-from-home mom of 3 adopted kids ranging in age from 7-17 and I have fairly limited time to work on this project (I would say about 20 hours a week). The best part about lifestyle blogging though is that you are basically using what you do in your life, day-to-day and just chronicling it as you go. I am great at that! I take pictures of where I go, what I am doing with my kids and even my drawings that I am working on. The other half why I have had some early success is I know how to grow big networks of people from my “day job” of being a marketing pro. I have almost 100,000 connections on my “real” social media sites for my marketing business and keep up on all the trends and know what works and doesn’t work in marketing. That said, only a handful of my business, marketing clients and followers like planners and blogging like I do so it didn’t help all that much with adding to my lists! 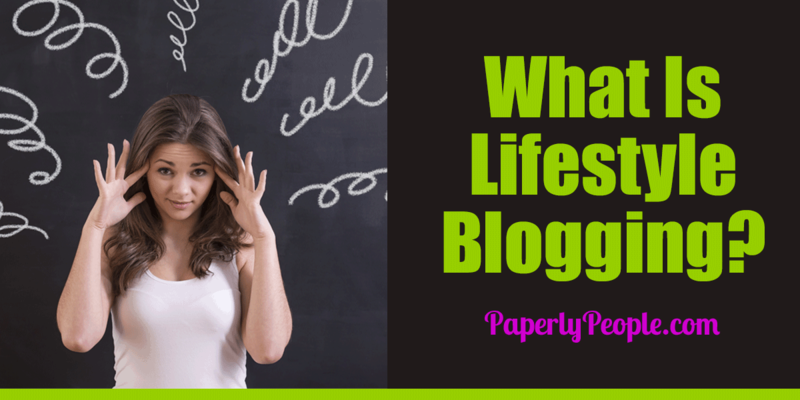 If you are reading this, perhaps you are trying to figure out what that term, “lifestyle blogging” means. Functionally it means that you take whatever you are passionate about and record it on your website and in social media. Whatever kind of lifestyle blog you set up, at the end of the day the goal is to get attention to your work. Now this may come in the form of straight monetization of your site traffic or it could come from doing product reviews, affiliate marketing or even by being paid for social blasts like Kim Kardasian is, but there is some way you are being paid at some point down the line. I think that is where I am little different than most. While I am focused on having fun and sharing, at the end of the day I also know from the start that I am going to monetize this site and am making decisions from the standpoint of product and corporate sponsorship down the line. Now, that doesn’t mean that I think I will have companies beating down my door today! For goodness sake, I have been doing this for a week. That is the other part to consider, you can’t get out ahead of yourself and think, I want to be RIGHT NOW! Instead you need to have a plan for your site, build up your readers and content slowly over time and build something that will last! In the spirit of transparency (and so I don’t have to keep this all in my Evernote! ), I am documenting the whole process of setting up, growing and monetizing my blog out in the open. First off, it will help me to be more organized and keep track of the whole process and second I think it will help you to see that big oaks come from tiny acorns. EVERYONE starts at zero and has to work their way up from there! Please, please, please remember that I am in marketing and I could do this all for myself in about 8 hours of straight work. I ignored my family for a day and got all this off the ground! A day of rest…:) Okay, I had to do “real” work today, but coming back tomorrow with a vengeance! So there you have it, my first week of being a lifestyle blogger! My social networks are starting to grow a little bit (I am ignoring Facebook and YouTube right now) and I am starting to feel like I am getting somewhere. Just as a side note, I would expect this to take someone a little tech savvy about two weeks to complete and a true novice at least a month!